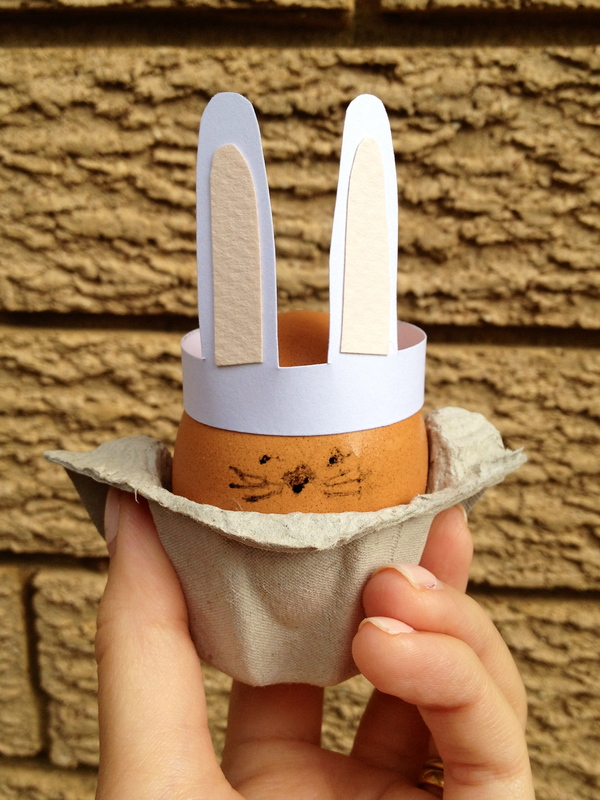 Today I made a cute little bunny egg cup hat thing. He looks a little teary what with the condensation from being refrigerated. But I was in a hurry to eat him! Yum! I wish I was married to you!